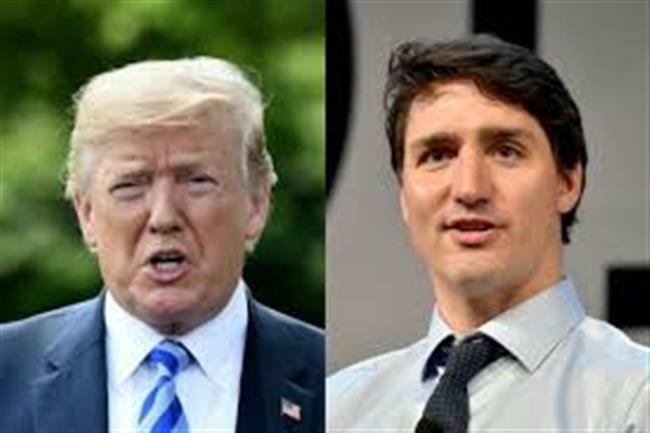 Washington, June 7, 2018: US President Donald Trump on Wednesday reproached Canadian Prime Minister Justin Trudeau, claiming that Canada burned the White House in the War of 1812, although that was actually done by British troops, media reports said. According to a CNN reported, citing unnamed sources, during a May 25 telephone call to discuss US tariffs on Canadian steel and aluminum, Trudeau asked Trump how he could use national security to justify imposing the tariffs. "Didn't you guys burn down the White House?" Trump reportedly responded in what was an overall "testy" conversation. Since Trump announced that he was weighing the possibility of imposing tariffs on steel and aluminum imports -- although he temporarily agreed to exclude the European Union, Australia, Argentina, Brazil, Canada, South Korea and Mexico -- the White House has taken the stance that it was being done on the basis of national security. The justification for that argument, however, has been called into question both by experts and other leaders, Efe reported. In fact, during an interview last weekend - and with the tariffs already in place - Trudeau said it was "inconceivable" that the Trump administration could suspect Canada, one of Washington's closest allies over many decades, of posing a national security threat to the US, adding at a press conference that suggesting such a thing was an "affront" to Canada. When asked whether he simply took Trump's comment as some sort of "joke," the Canadian leader said "To the degree one can ever take what is said as a joke. The impact on Canada and ultimately on workers in the US won't be a laughing matter." Regarding the burning of the White House on Aug. 24, 1814, in fact it was British troops who - after invading Washington in the War of 1812 - burned several federal buildings including the White House and the US Capitol. Canada was still a British colony - and thus did not exist as an independent country - at the time and the British occupation of Washington came in response to an American attack on the city of York, Ontario. This is not the first time that Trump has made a comment that riled the Canadians. In March, he boasted before television cameras that he had lied to Trudeau by claiming that Washington has a trade deficit with its northern neighbor.